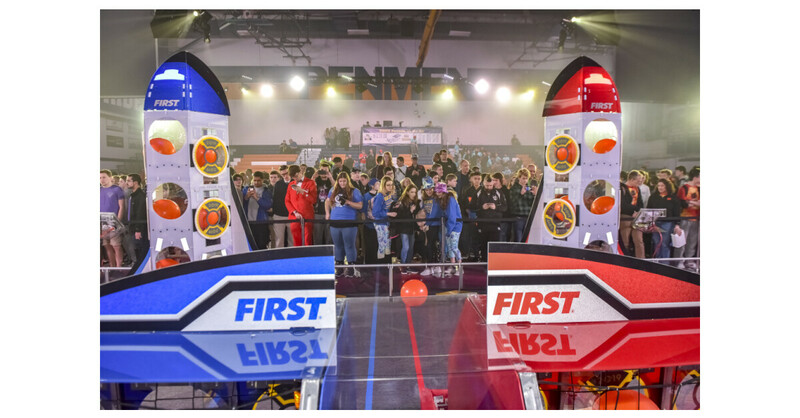 WINDSOR, ON (March 27, 2019) – Forty teams representing 1500 high school students from across Ontario will land with their robots at the St. Denis Centre this weekend March 29-30th for the Sixth Annual Windsor Essex Great Lakes District FIRST Robotics competition. In the past, these robots shot basketballs and Frisbees 200 feet into scoring baskets and climbed 10-foot steel pyramids. This year’s challenge is called Destination: Deep Space presented by Boeing Company to commemorate the 50th Anniversary of the first moon landing. The public is encouraged to attend Friday – 10am to 7pm – and Saturday – 8:30am to 5:30pm – at the St. Denis Centre where admission is FREE. This year’s competition will welcome The Honourable Paddy Hajdu, Minister of Employment, Workforce Development and Labour on Friday, March 29th from 2:45pm-3:45pm. Platinum Sponsor CenterLine is among dozens of regional industry partners and organizations – including Gold Sponsors St. Clair College and the University of Windsor – that are supporting the tournament and supporting local teams to provide young people with paths to promising careers in science and technology. 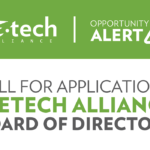 WEtech Alliance – a Regional Innovation Centre – in partnership with industry, the University of Windsor, St. Clair College and community stakeholders are committed to growing FIRST Robotics in Windsor-Essex and Chatham-Kent. “FIRST Robotics is an important investment in the economic future of our region. The Faculties of Engineering and Science at the University of Windsor are proud sponsors of FIRST because it inspires students to pursue a degree in STEM and provides them with marketable skills in problem solving, collaboration and communication.” says Dr. Chris Houser, Dean of the Faculty of Science. About Windsor Essex FIRST Windsor Essex FIRST is a volunteer group that acts as a the regional arm of FIRST Canada and works year round to promote FIRST in Windsor-Essex and Chatham-Kent. Thanks to the effort and dedication of hundreds of volunteers – Windsor-Essex FIRST also coordinates events such as the annual Windsor-Essex FIRST Robotics Competition.